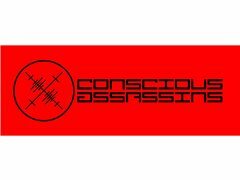 My band Conscious Assassins are looking for a talented Videographer to shoot a music video for one of our tracks. You can listen to our music on Soundcloud. Just type in Conscious Assassins in the search. We have 13 tracks up on our soundcloud page you can decide which track you would like to shoot a video for. This position would suit a student who is looking to build up there video portfolio as it's an unpaid position. Videographer for Music Video. Filming, & Editing.